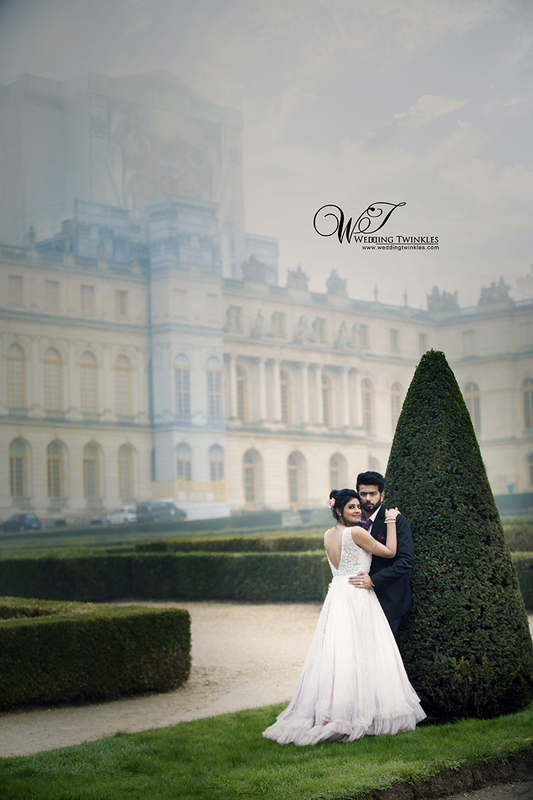 Pre-wedding photographs are the first impressions of blossoming love. 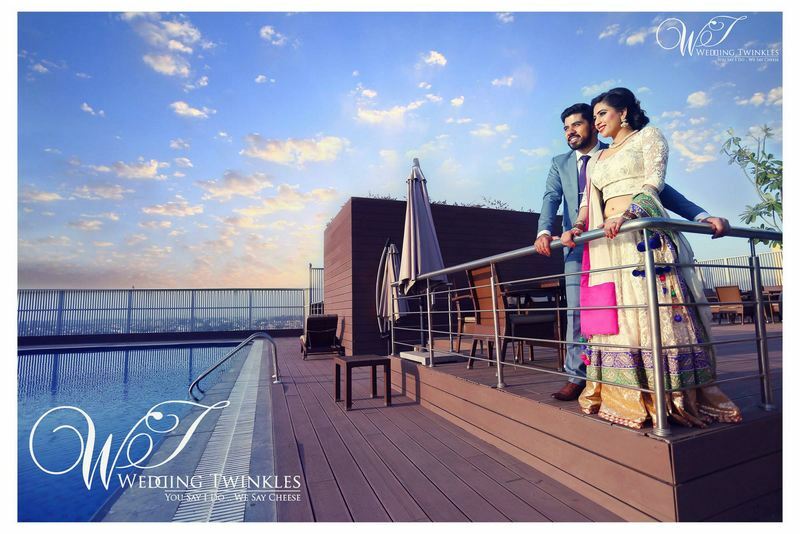 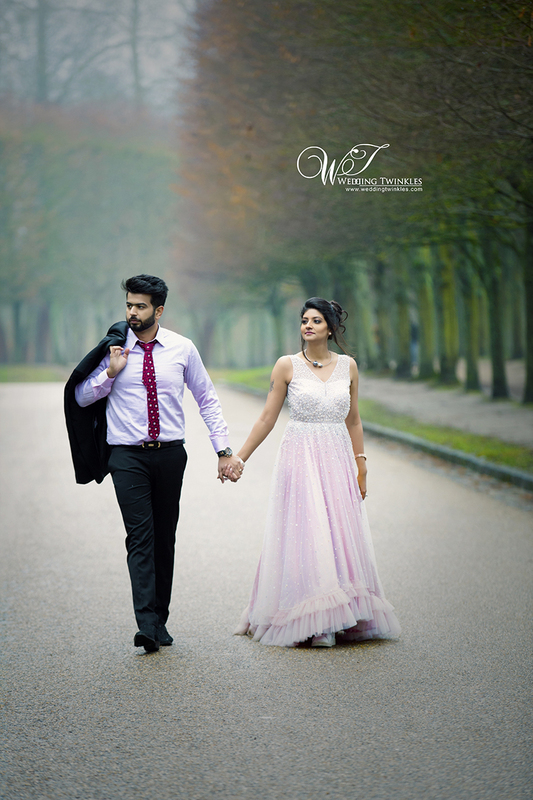 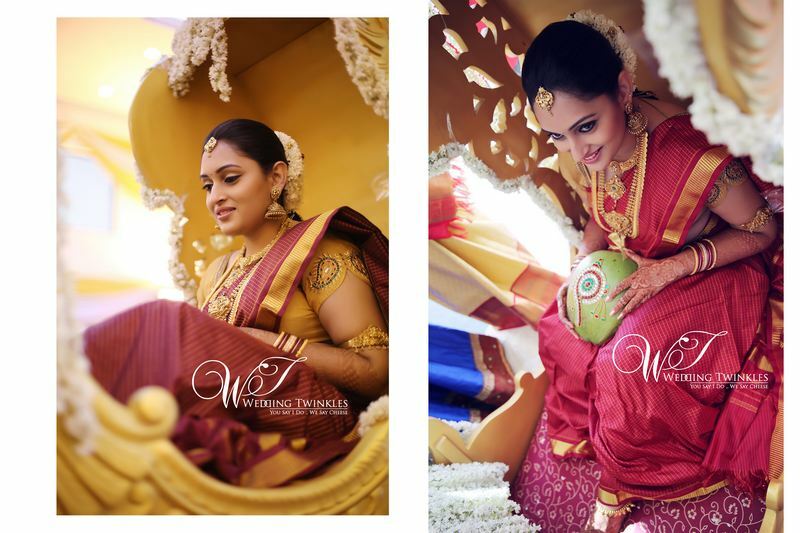 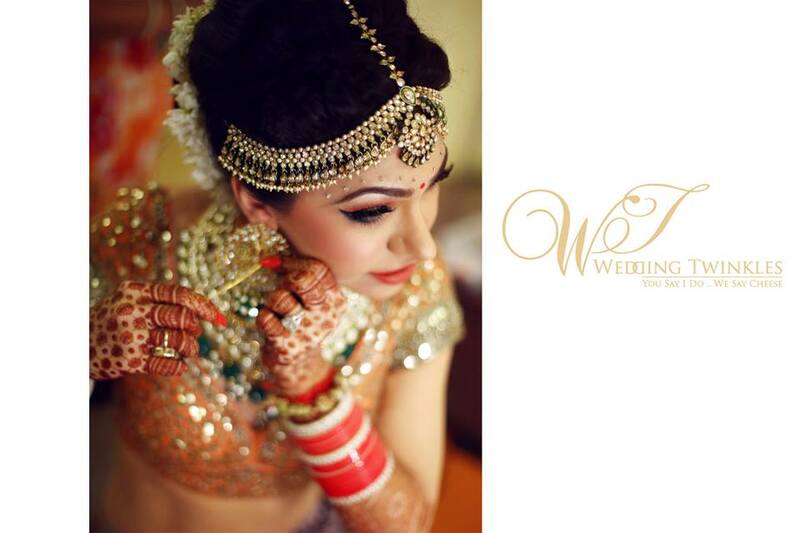 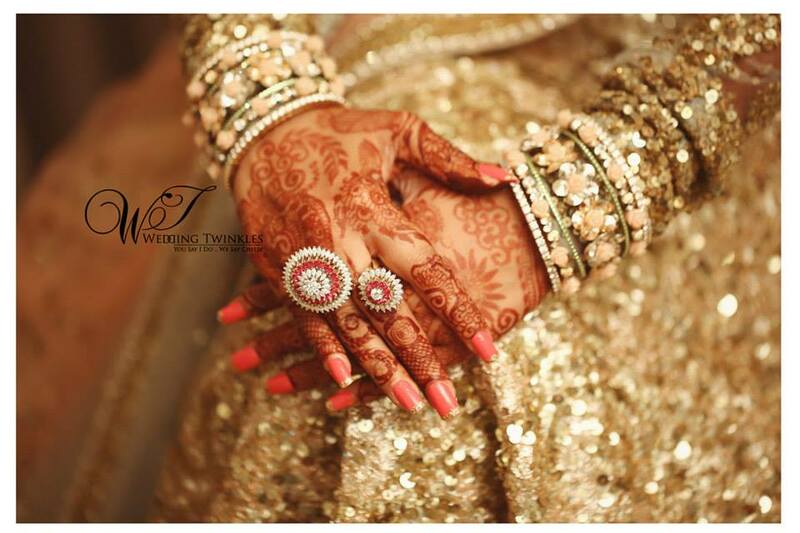 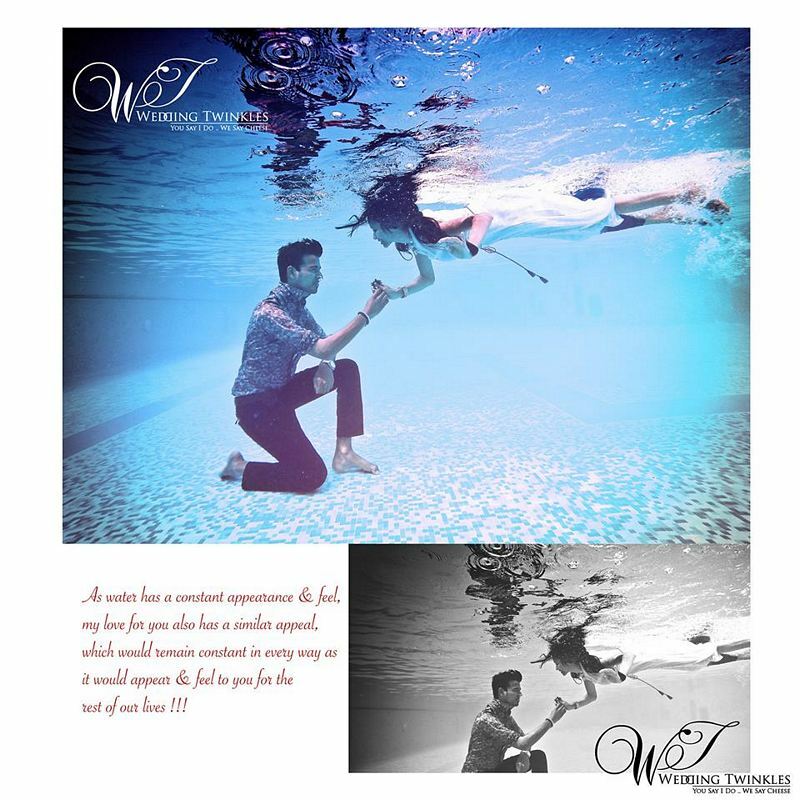 We at ‘Wedding Twinkles’ promise to capture the most enigmatic and blissful moments of your Pre-Wedding courtship period through the excellence of our expert lenses. 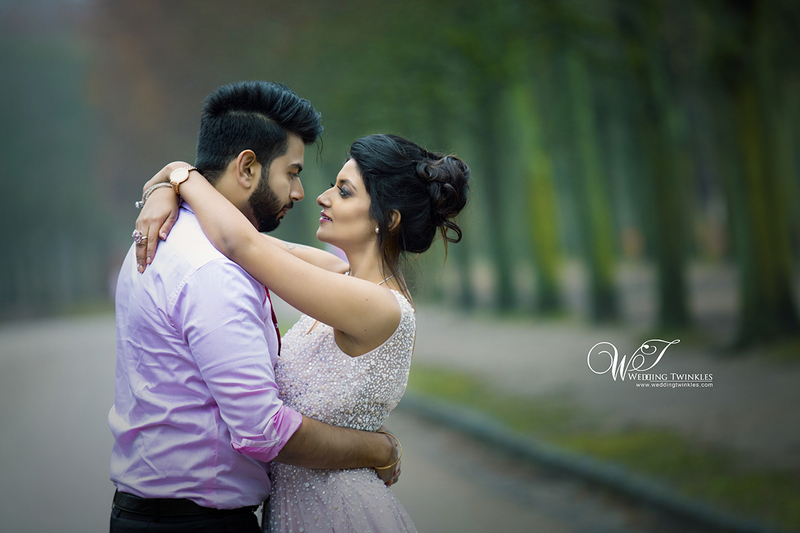 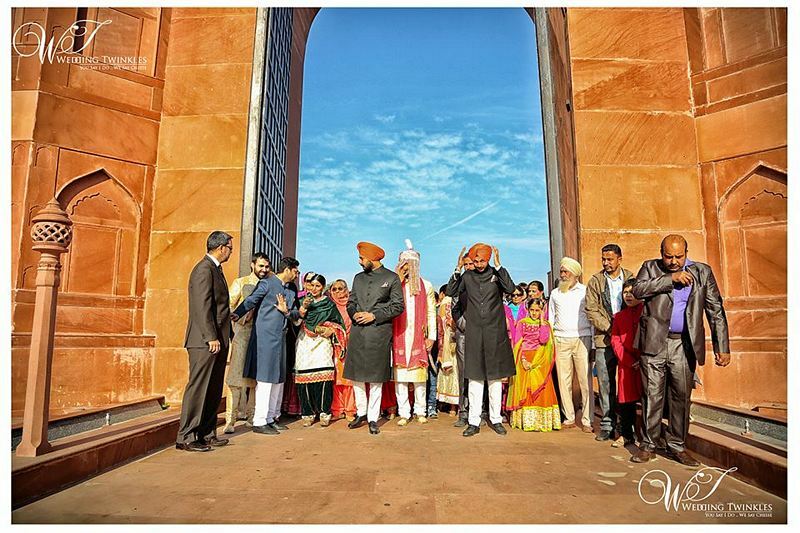 When it comes to a fancy Destination pre-wedding shoot it’s time to choose our best pre-wedding photographers from Delhi to accompany you to the most cherished ride of your life. 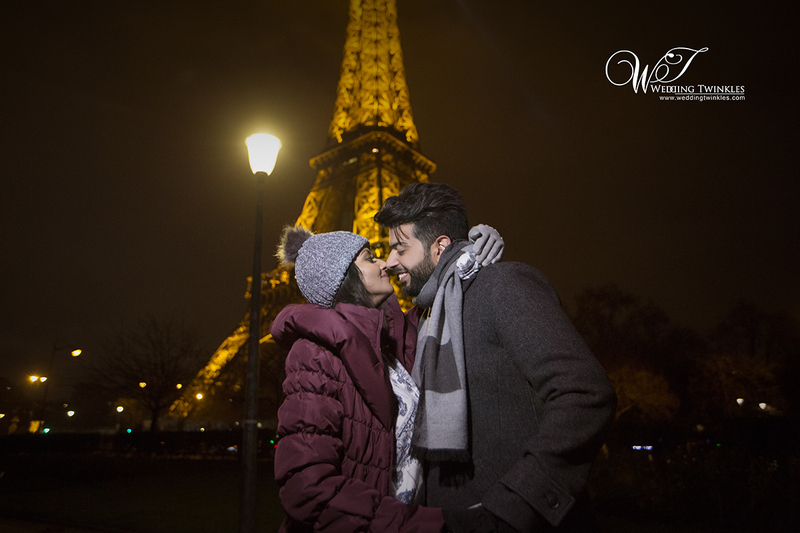 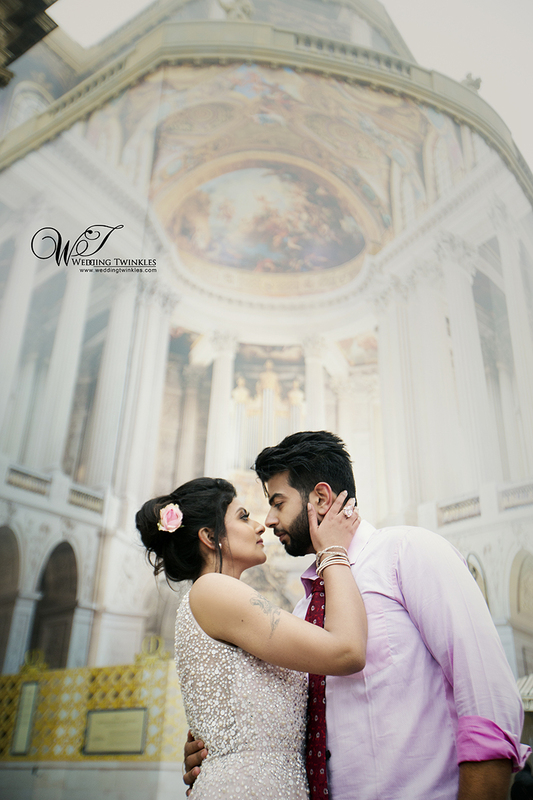 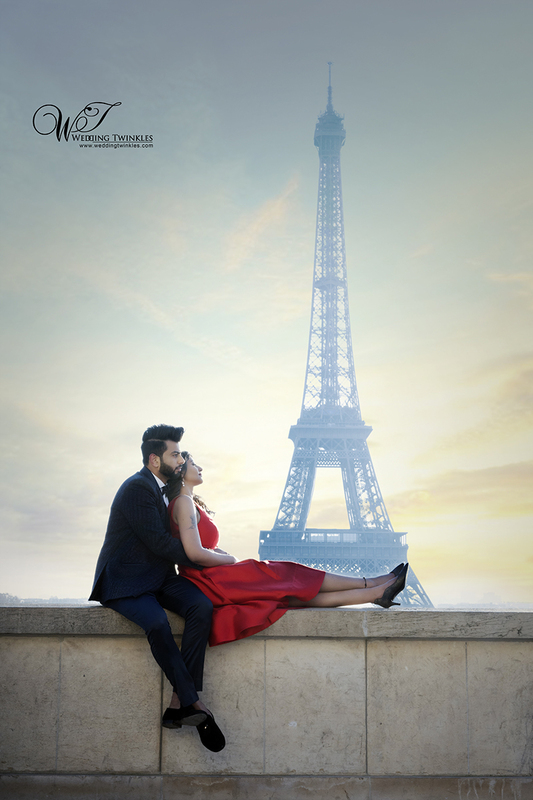 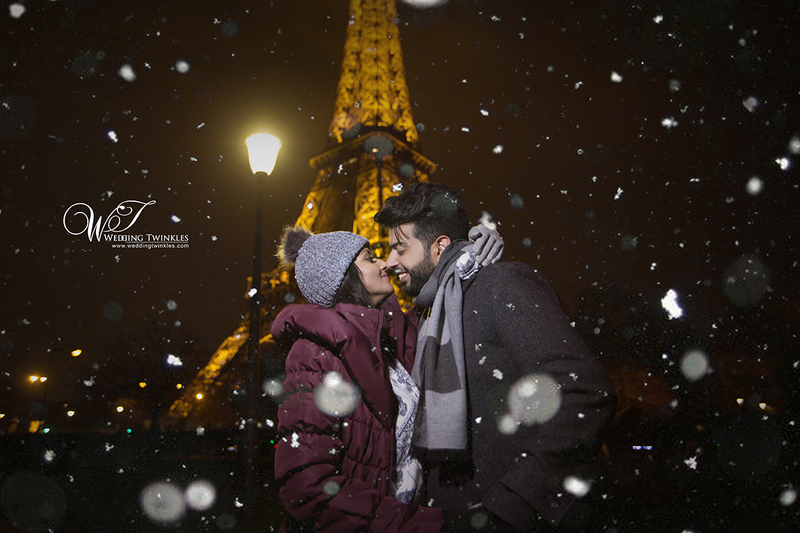 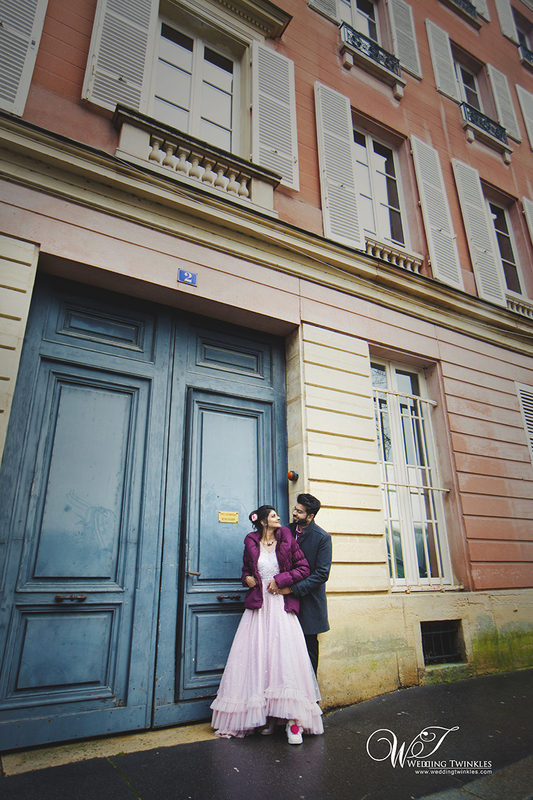 No other better place than ‘The City of Love’ could have been chosen for the destination pre wedding shoot of Lakshit and Neharika. 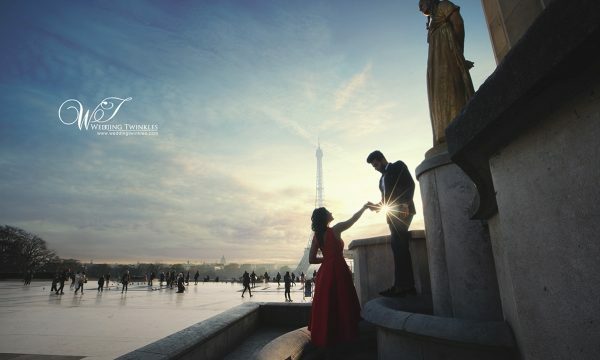 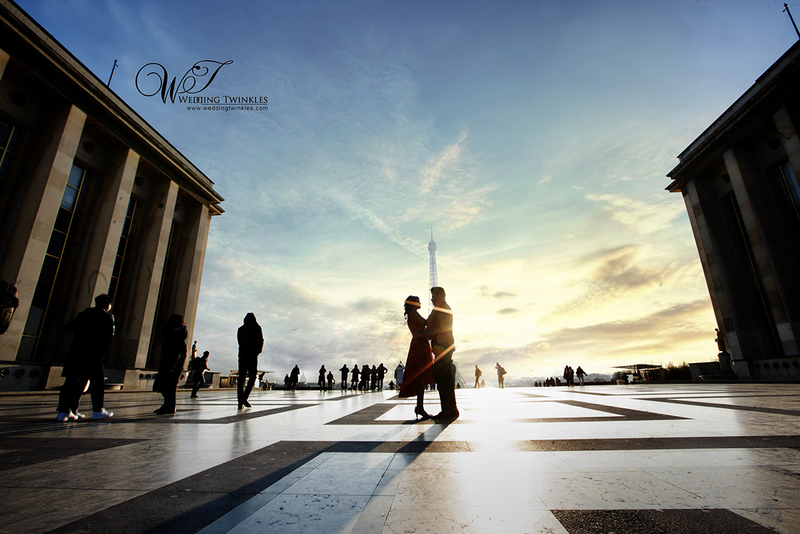 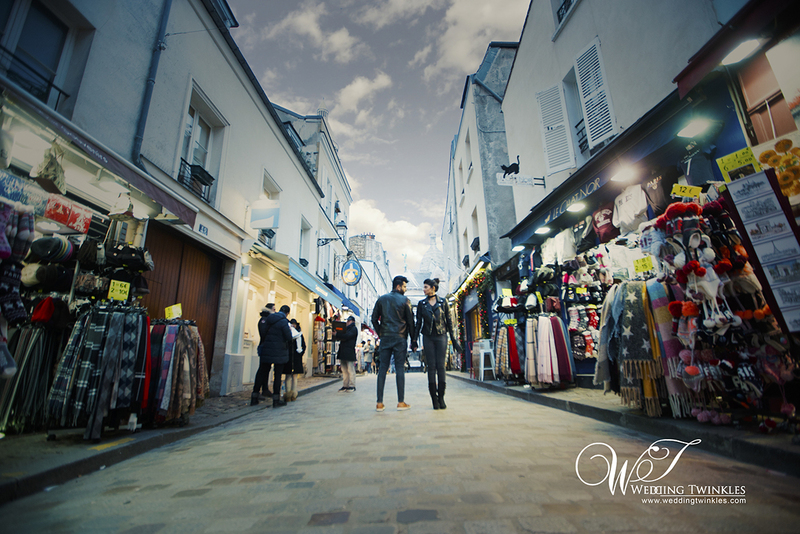 Paris is undoubtedly a dream destination for lovers. 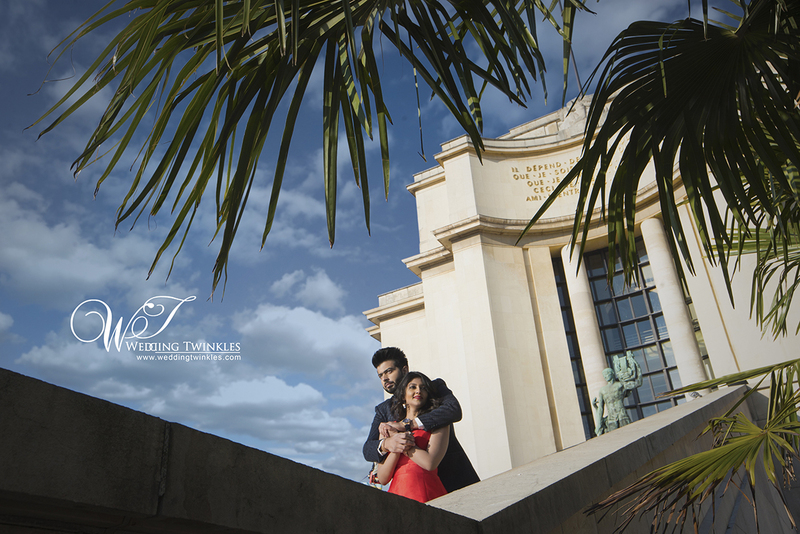 And under the expertise of our best pre wedding photographers memories were made to stay fresh forever. 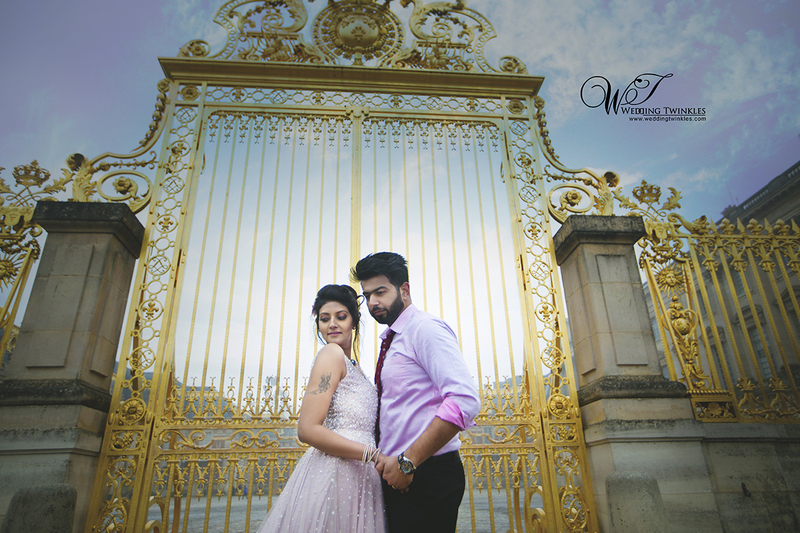 Shot in the most picturesque locations, with beautiful backdrops, the classy photographs look straight out of a fairy tale. 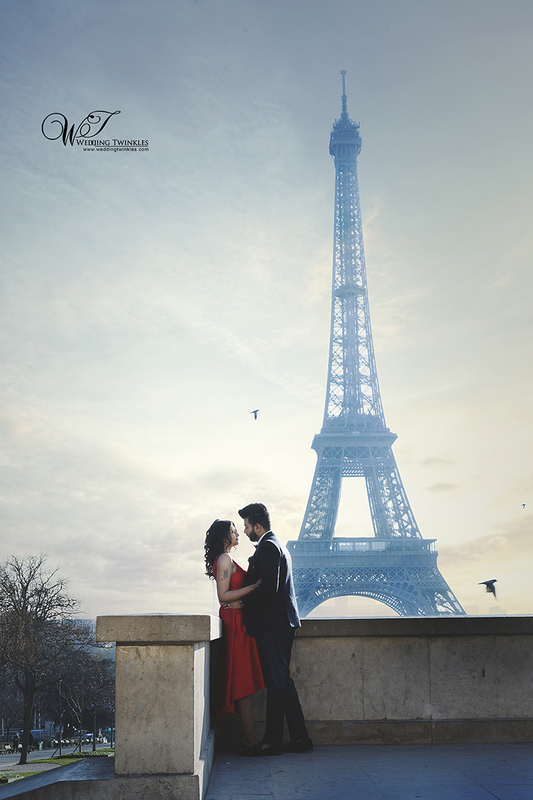 The enchanting chemistry between the two of them was embellished by the breathtaking background of Eiffel Tower – Truly a symbol of love. 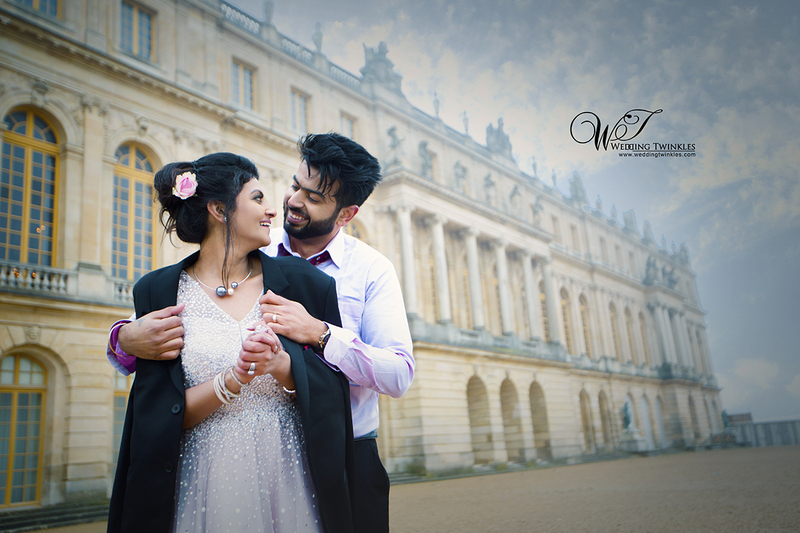 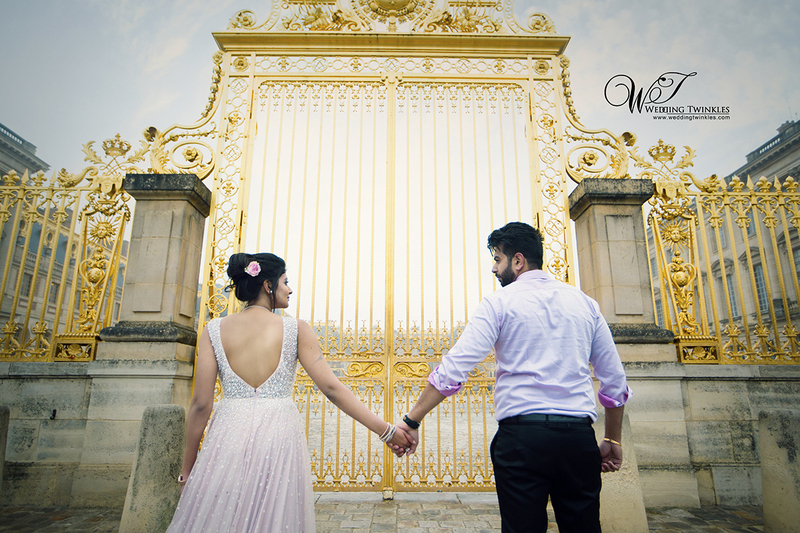 The other shooting locations including the lush green gardens and the majestic Palace of Versailles added grace and serenity to the overall photo shoot. 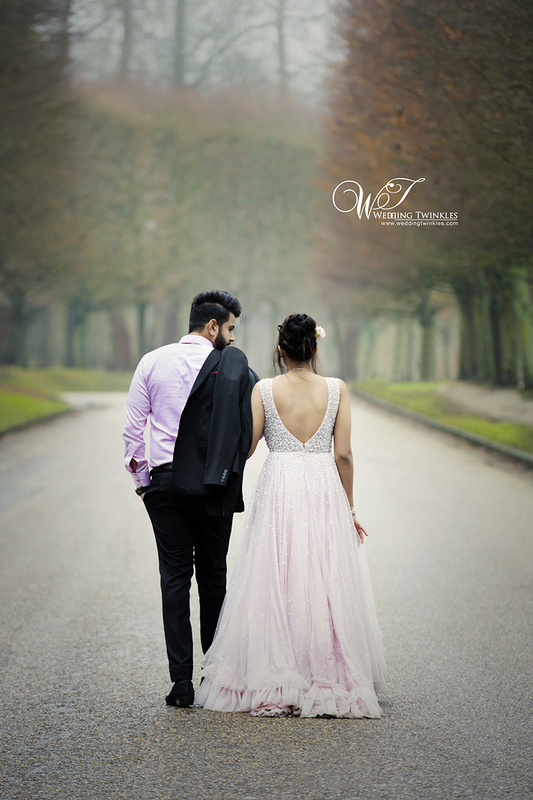 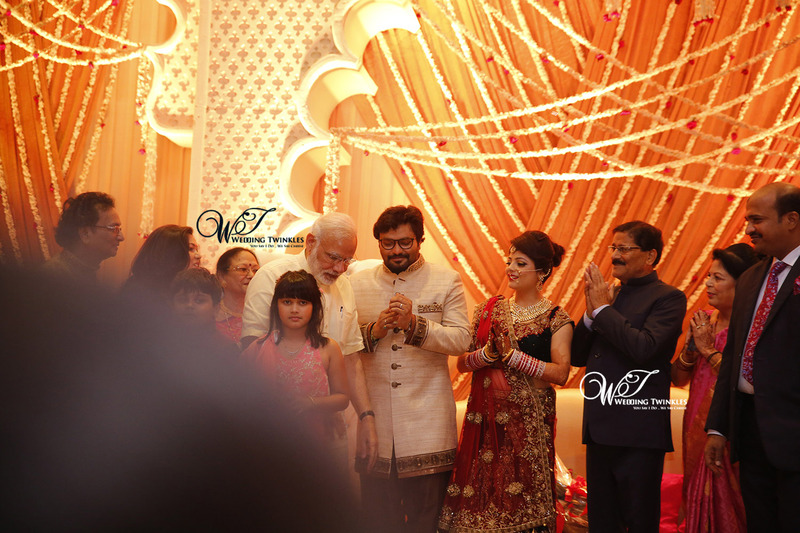 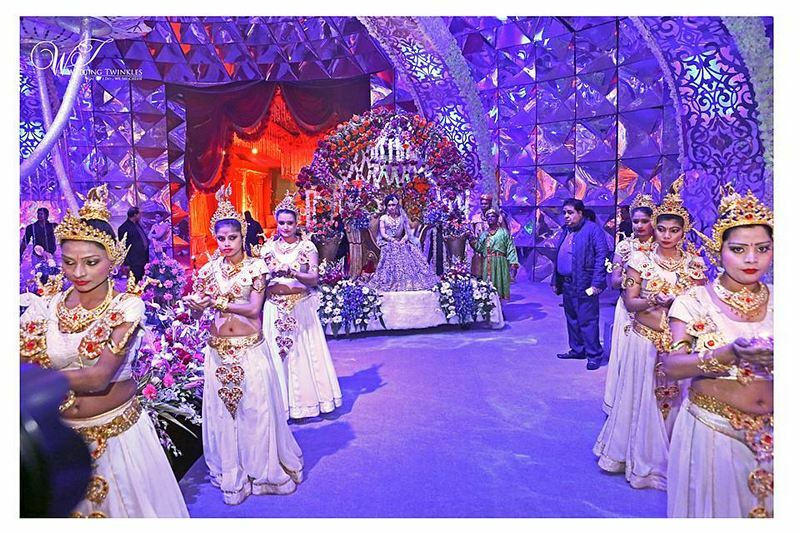 Traversing the ‘road of love’ together, the couple looked astounding. 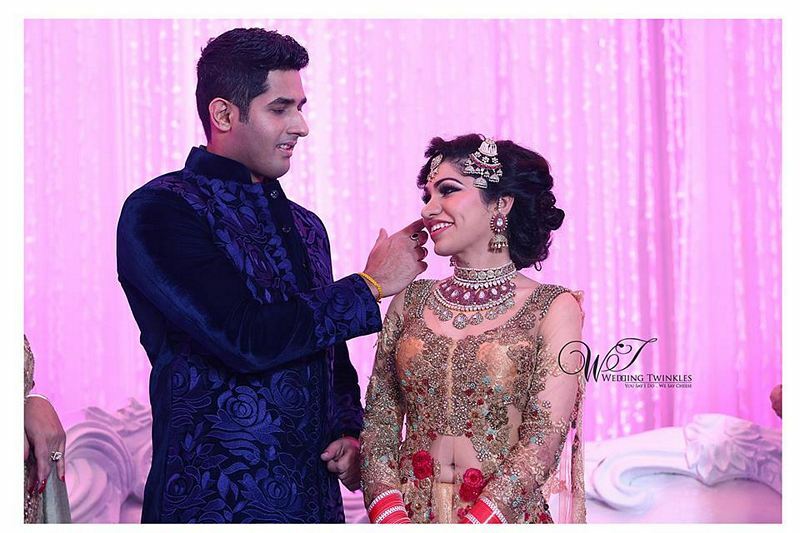 The gracious bride-to-be complimented the handsome groom and they already seemed made for each other. 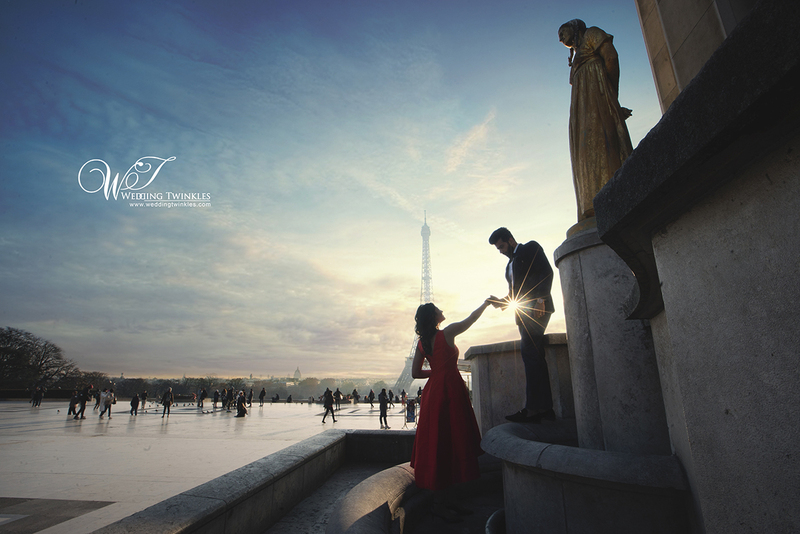 Beautiful light effects at the time of dusk brought nature close to the God-ordained couple.The stunning colour contrasts with picturesque landscape would make your heart skip a beat. 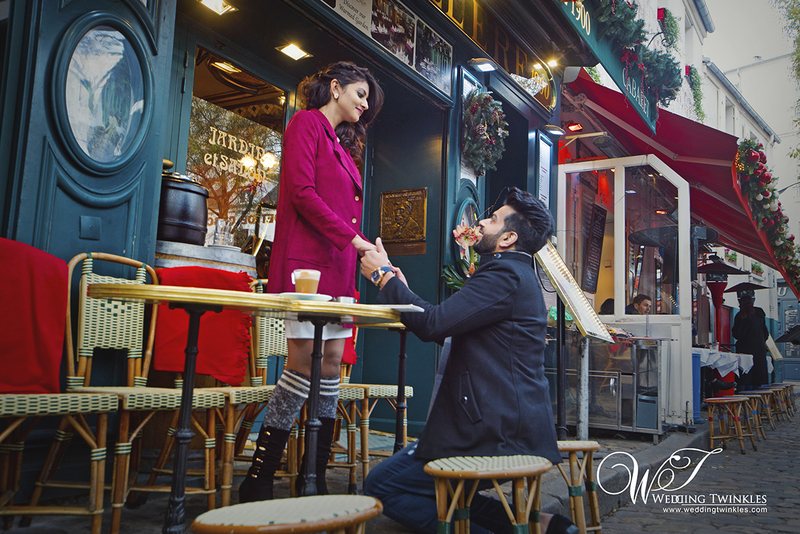 The charisma of ‘life like’ photos is such that one can actually feel their hearts melting in love. 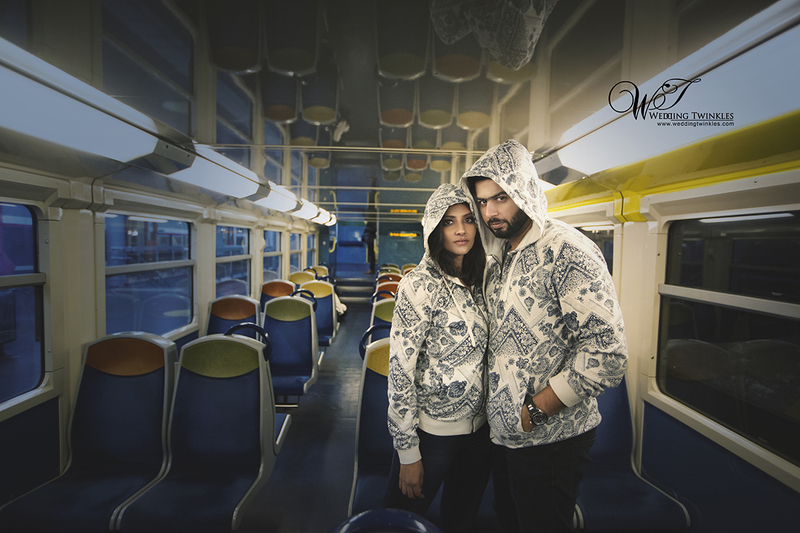 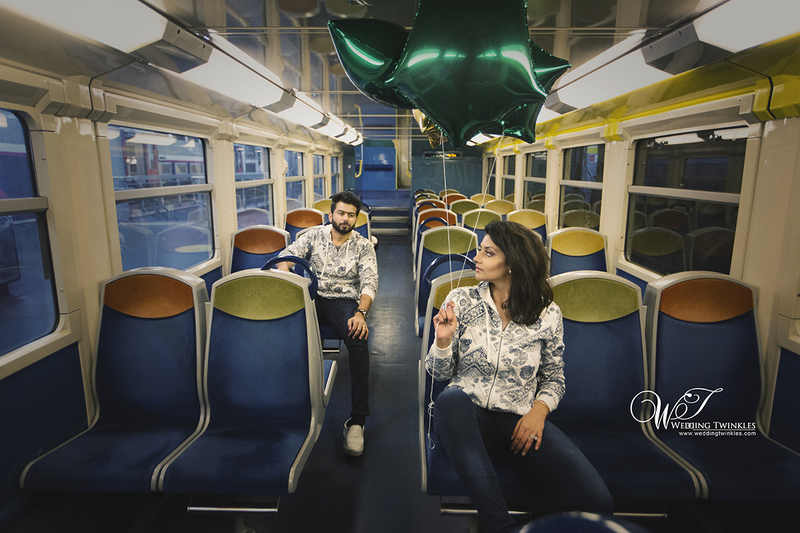 The beautiful twinning of their dresses was well in rhythm with the adventurous shots in a train. 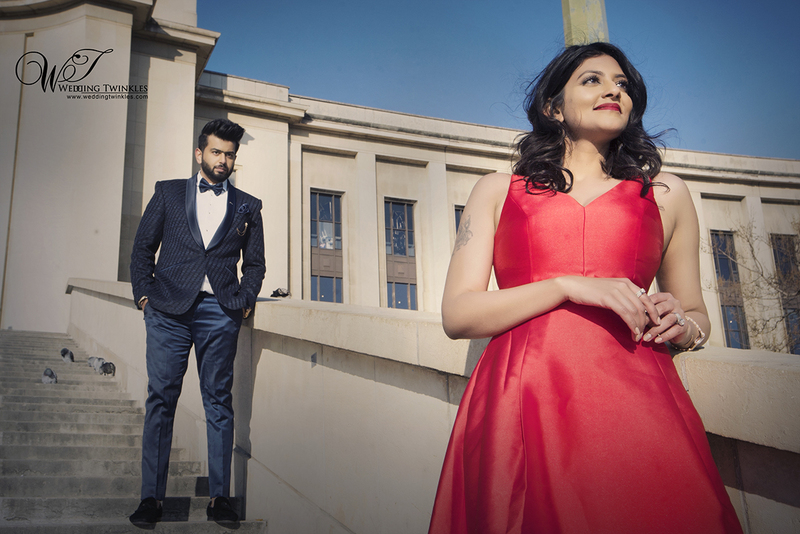 Swift and Sassy! 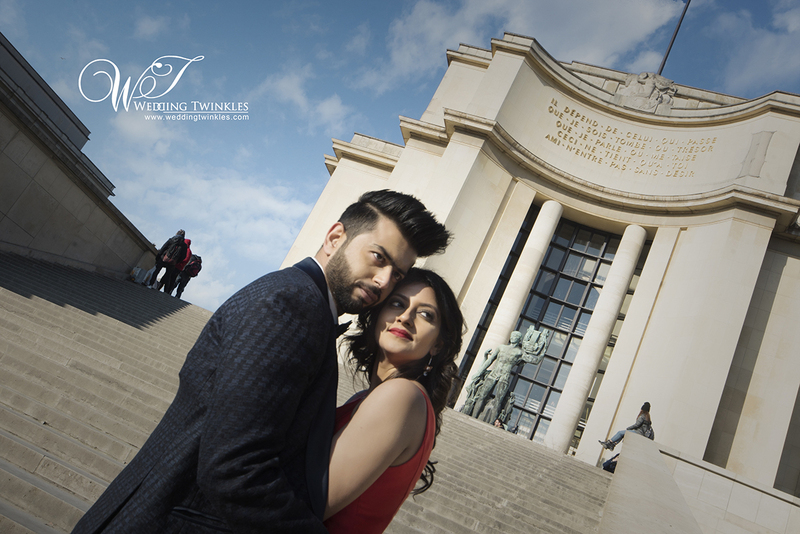 As the soul mates were totally engrossed in each other, the photographer stole candid moments of love in his camera. 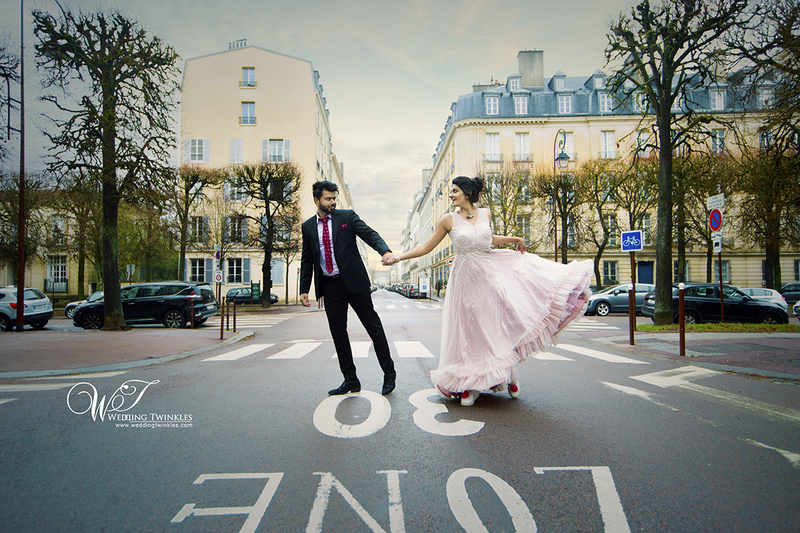 The whole trail of lovely photographic effects wove a melody of everlasting relationship. 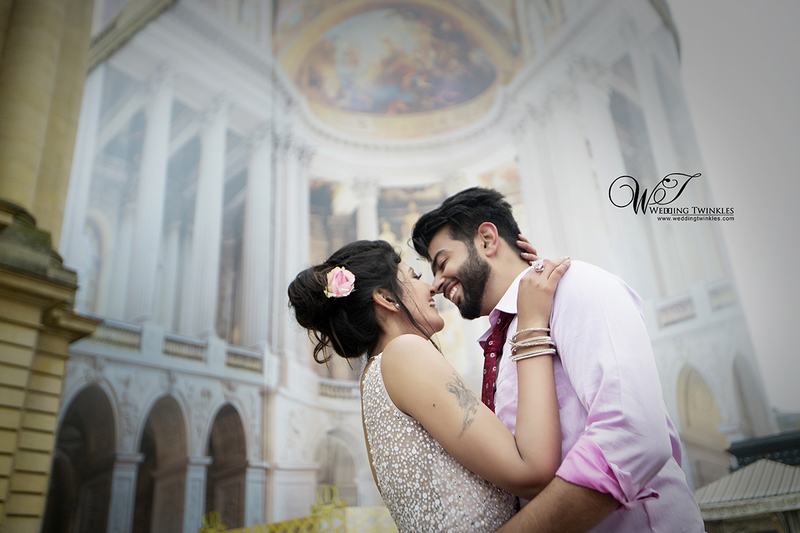 The romantic setting made the couple open their hearts and smile into the camera without any inhibitions. 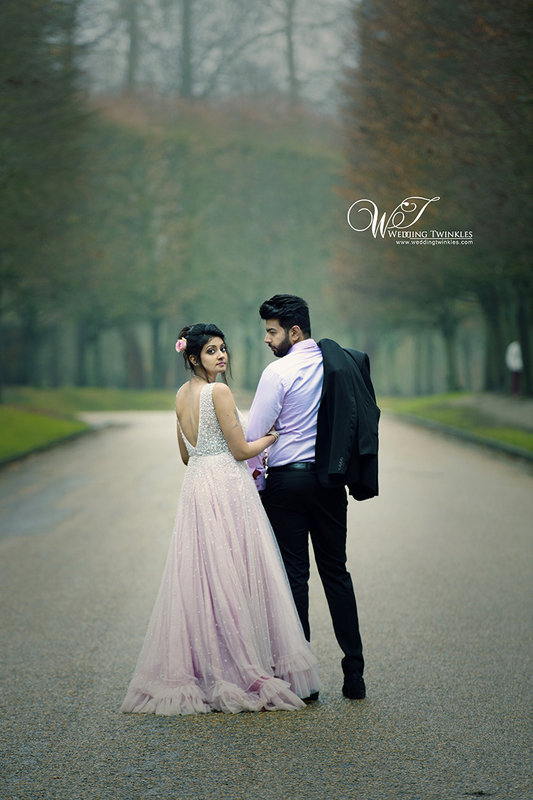 Our ace photographers made the whole environment so comfortable that the couple posed without any hesitation and their sync was charismatic. 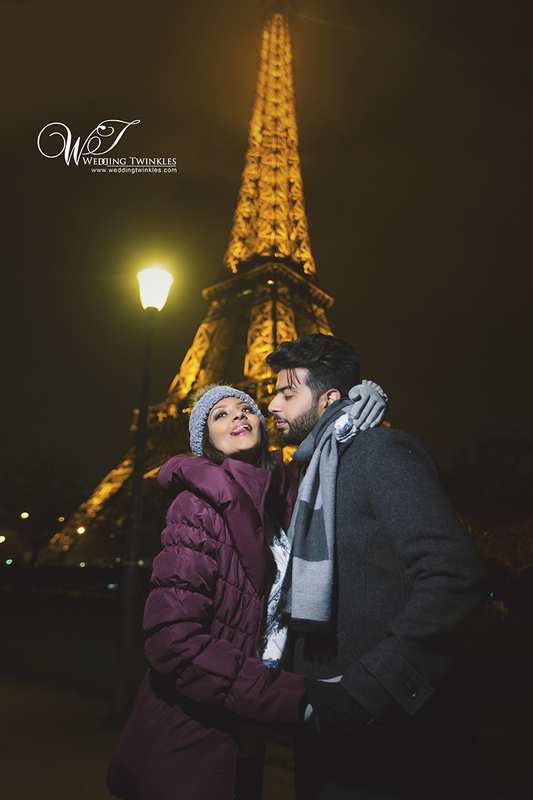 The soft humming of Je t’adore (I LOVE YOU) rang through the ears as love was in the air in this beautiful French city.